At Jairaj, we understand that owning a home is a family's dream-come-true. It is the start of a new journey and an achievement of a lifetime. For us, building your home is a commitment towards your family, a promise to deliver the highest standards in quality and workmanship. We choose the best of both worlds to help you make this dream come true. We guarantee a home built on QUALITY, APPEARANCE, COMFORT and in HARMONY with NATURE. The quality of each and every building component is tested by our professional Quality Controllers before they are approved for use. Your safety and comfort is of prime importance to us. Our Engineering team monitors and supervises the project throughout the entire duration inspecting, correcting even the minute factors affecting quality and safety. We are backed by a strong team of construction professionals. Our credibility, reliability, quality construction and workmanship is unparalleled in the industry. The driving force of our organization is Dr MD JAIRAJ. Our principle is to construct the finest quality buildings with novel designs, good ambience, thoughtful spacing and intelligently crafted internal facilities to suit one and all. Building Excellence - brick-by-brick, Jairaj, Kerala's own builder, introduces dream homes that are made of the highest quality. Backed by a strong team of specialized professionals with experience in construction, Jairaj builders stand for reliability and quality construction, unparalleled in the industry. Dr. M.D. Jairaj is the driving force behind the ever-growing group. Together with the best talents in the industry, Jairaj has made a mark in the competitive world of builders in Kerala. 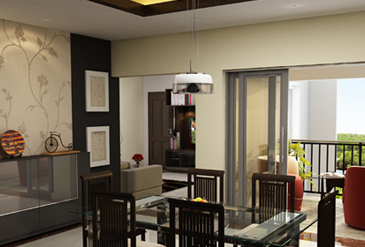 Our team has engineered several residential marvels with top notch quality and novel designs. Direct supervision from the management lends perfection to our projects and has made Jairaj group synonymous with elegance. It is this unmatched dedication that has helped the group look forward to its golden jubilee.